Ninetyone newly developed indoor shoes in retro design. They are primarily intended for the goalkeeper in handball, but due to its properties can be used in any indoor sports or lifestyle sneakers. These boots have uppers made ​​of soft suede, making them perfectly flexible. On the inside, the language used is soft fur that makes the shoe more comfortable than they look at first glance. On the contrary, reinforced heel soft synthetic leather that it strengthens. 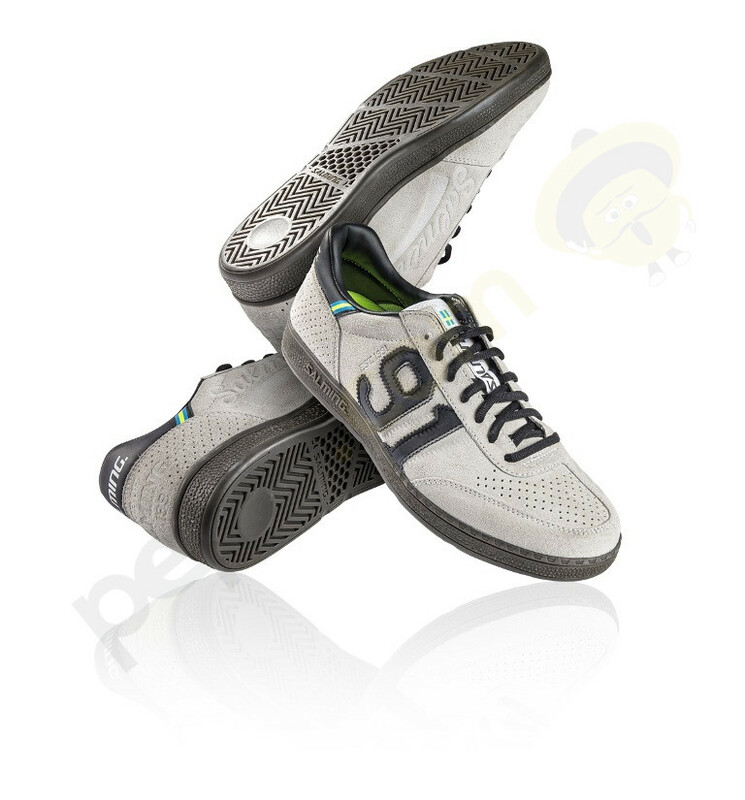 The sole is made ​​of raw rubber which provides excellent grip. In these sálovkách is more than just obvious at first glance cool retro design. Inside rough-looking outsole is lightweight EVA material, so that the shoes makes a real professional sports shoe. These shoes are for players who want to vary the pitch or just get a great looking sneakers. Salming ninetyone were designed in collaboration with Mattias Andersson, Swedish goalkeeper of the national team in handball. Suede is a natural material that can not be washed or cleaned with water. Shoes, please clean the brush or brush on suede.